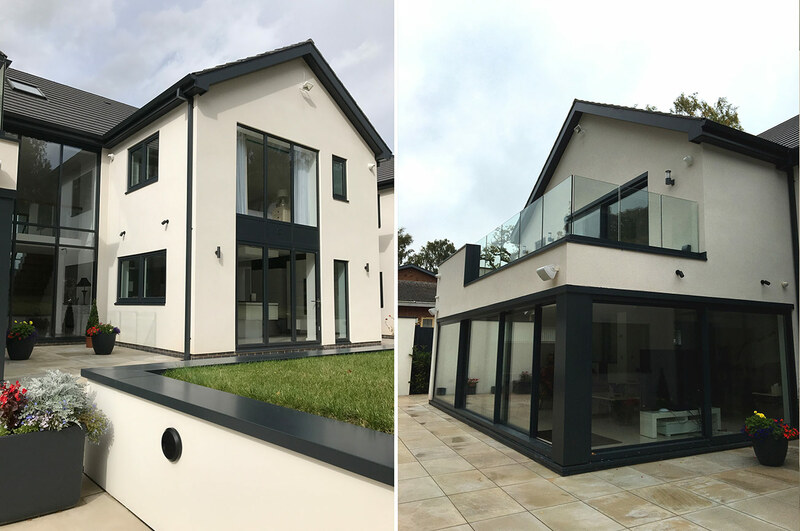 Situated in a prime location within an exclusive residential area this renovation, internal re-plan and rear extension focused on simple understated elevational treatments to achieve a visually cohesive and contemporary design. The use of stone, white render and glass compliment and modernise the existing buildings façade. The design makes best use of the existing building whilst injecting a new lease of life into what was once a tired building with a confusing layout. 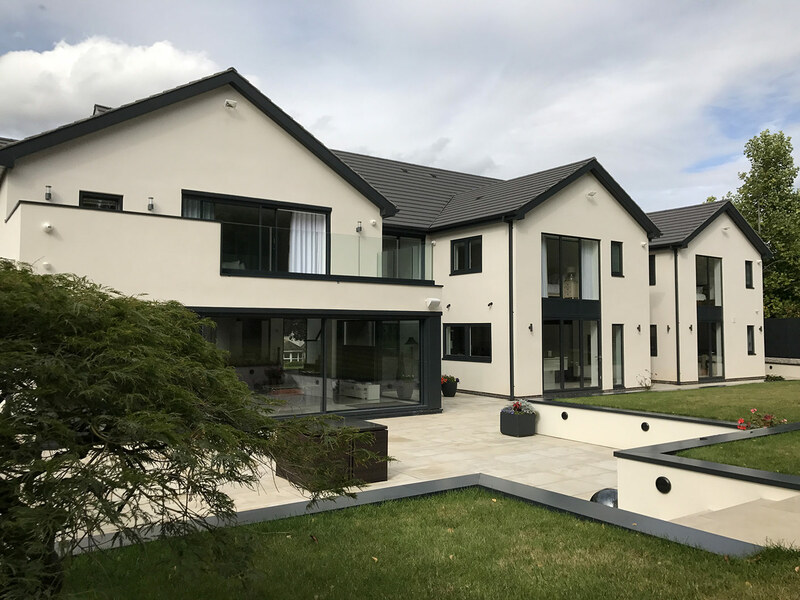 The new layout boasts a modern update that really transforms the house into an impressive open plan contemporary family home. 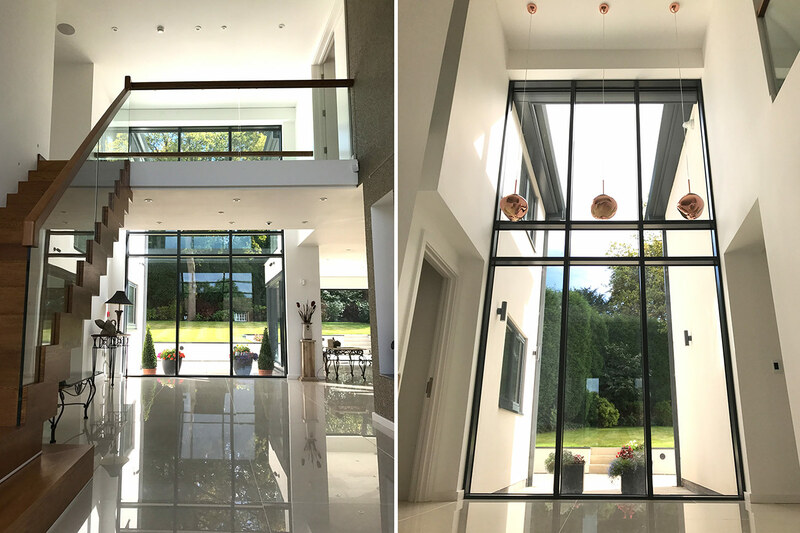 A grand, double-height glazed entrance guides you into the building, immediately bringing you into the heart of the home. 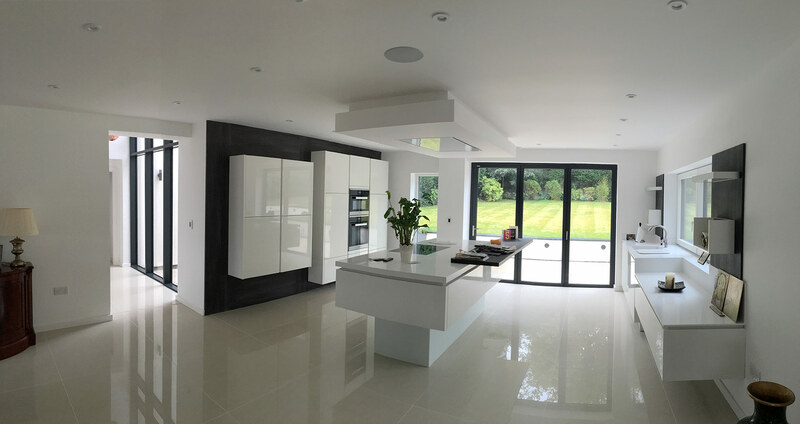 This space acts as a focus to the design, dividing the space between the open plan kitchen, dining area and the living areas. The main stairs take you up to the first floor and onto a bridge that flows across the double height entrance space leading to the master bedroom. The new design provides the owners with a variety of comfortable ‘zoned’ open plan living spaces. The rear extension, comprised of 3 projecting gables each with large expanses of glazing, offer open views into the garden.